Hazmat Suit in Fallout 76 provides 1000 rad and rad damage resistance. Fallout 76 is set in Appalachia, comprised of the former state of West Virginia, 25 years after the Great War. So Radiation is a kinda big issue once the player gets out of the Vault 76. Hazmat Suit is the best way to minimize the threat from environmental radiation. Here is how to locate and get the Suit. Without wasting any time head directly to the Poseidon Energy Plant WV-06. 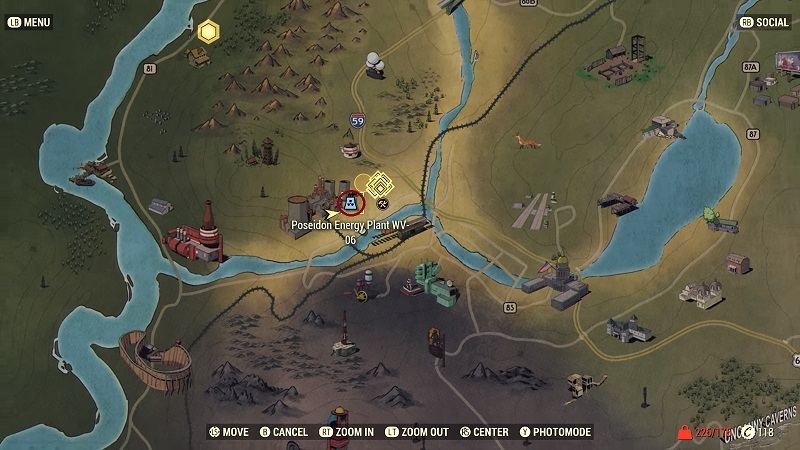 So head south of Vault 76 or look for the giant cooling towers on your map. Once you reach there don’t get inside the build as the suit can be found in an exterior room. So take a left of the main entrance and look for the catwalk stairs. This will leads to a rooftop landing with a trailer-like office. Go inside, check the pile of boxes and Grab your Hazmat Suit. Note: No other armor or clothing can be worn with the hazmat suit. Also Read: How to Join Servers and Play With Friends? This suit will shield your player from radiation, but won’t help if you are drinking dirty water or eating mutants. The Suit has a weight of 5 and the damaged one has a weight of 4. let us know if you have encountered any other protection for Radiation powerful than Hazmat Suit. Till then check our other guides for Fallout 4 Cheats, Tricks, and Tips.